Free of fillers, the tunes are varied enough to be of interest for extensive home use. Their last release, Denham Smith’s pleasing EP Not The Same, is still fresh, but Germany’s reggae powerhouse Oneness Records seems to have too much material to take a break. 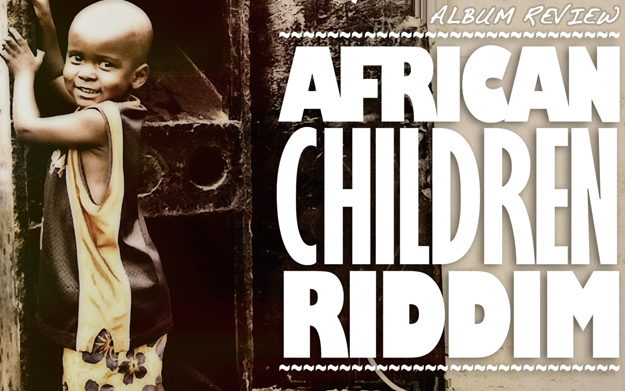 The African Children Riddim selection is their latest coup. It just hit digital stores. Produced once again by Moritz “DaBaron” von Korff and Benjamin “Benjammin” Zecher, this European-flavored, airy modern roots riddim with 78 BPM in G major features some of the most gifted European and Jamaican musicians, Oneness Records’ usual suspects and a few surprises on lead vocals, and a stunning array of backing vocalists. Umberto Echo did the mixing, Ganjaman mastered the selection. It comes with ten tracks, the instrumental version already counted. First up to voice is Exco Levi. His contribution is called Blood Tears, a conscious track that decries the careless, egoistical and violent ways too many people live their lives. If the world doesn’t change, it will go down, that’s his message. Denham Smith knows better already. He is Not The Same as them, but subscribes to righteous livity already. Luciano joins in, demanding to Build A Better Land. Only Jah love was guaranteed in this world of uncertainty, he tells us. Former theological student Raymond Wright and Munich-based rookie Fyah T praise the Lord and ask us not to mislead the youth – Elohim. Fitta Warri is back as Vanguard Leader. He voiced Just A Plant, an unagitated ganja tune that fits well with the worldwide discussions about the legalization of it that are led much more pragmatically now than in the past. Naptali takes it back to where Exco Levi, Denham Smith, Luciano, Raymond Wright and Fyah T were – Boasy Slave is his plea to mankind to unite. Mark Wonder is less universalist in his message and addresses children of Africa only. His Nubian Glory vaguely calls for an African renaissance. Indonesian singjay Ras Muhamad provides Lion Roar, his strongest song so far. Jamaican songbird Michelle Gordon claims that she is Ready For The World. She knows “the journey won’t be easy” – despite the two albums she’s released already, too few people seem to have taken notice of her. Her powerful contribution on the African Children Riddim proves that she deserves more attention. This selection is another instant favorite by Munich’s best, Oneness Records. Free of fillers, the tunes are varied enough to be of interest for extensive home use.